Rakesh Jhunjhunwala is frequently dubbed “India’s Warren Buffett”, but in many ways the two could not be more different. The Oracle of Omaha is a teetotaller and a non-smoker. Mr Jhunjhunwala constantly alternates between his preferred 555 cigarettes, sweet chewing paan and Indian snacks. He is known for his taste for cigars and Blue Label whisky. While Mr Buffett still lives in the same house in Omaha he had when he began, Mr Jhunjhunwala has moved his family into a plush flat in Mumbai’s upmarket Malabar Hill neighbourhood. Like Mr Buffett, however, Mr Jhunjhunwala is primarily a value investor and both are willing to share their investments and the rationale behind them with the public. 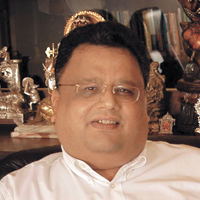 When Mr Jhunjhunwala invests, it is generally in unloved small and mid-cap stocks, such as Geometric, Zen Technologies and Aptech in the software sector, consumer goods companies such as Agrotech Foods and Titan watches, and service companies such as Tops Securities and a school management firm. None is really a household name. This enchantment with profit-and-loss figures continued into his studies as a chartered accountant at Mumbai’s main business school, Sydenham College. He always knew he wanted to be in the market, although it was a business frowned upon by his family. His father was a bureaucrat, a commissioner in India’s income tax department. The Jhunjhunwalas are from Rajasthan’s Marwari business community, traders in goods rather than on the Bombay Stock Exchange, which at the time was dominated by Gujaratis. “I initially wanted to become a broker, but I didn’t have the capital to be a broker, so I started investing,” Mr Jhunjhunwala says. He entered the market in 1984, aged 25, with a 5,000-rupee ($100) investment in the iron-ore exporter Sesa Goa. Just three years later, he had turned that into 10 million rupees. He was featured in Forbes billionare list in 2008 as RJ's equity portfolio was worth more than $1 billion. A quarter of a century later, Mr Jhunjhunwala has an office in Nariman Point, India’s financial district, where the walls bear line drawings of Mr Buffett, George Soros, John Templeton, Peter Lynch and other legendary investors, each accompanied by a few of their pithiest quotes written out in italic script. There is also a prayer room occupied by Ganesh, Lakshmi and other Hindu deities. “We pray that this room remains the best used part of our property for our future prosperity,” a sign reads. Each of them, from Lynch to Lakshmi, have made him the businessman he is today, Mr Jhunjhunwala says. “Markets are my life, they’re my passion.” He does take time off, but not without his BlackBerry. However, he protests that looking at his BlackBerry is the second thing he does every day. The first is kissing his daughter. 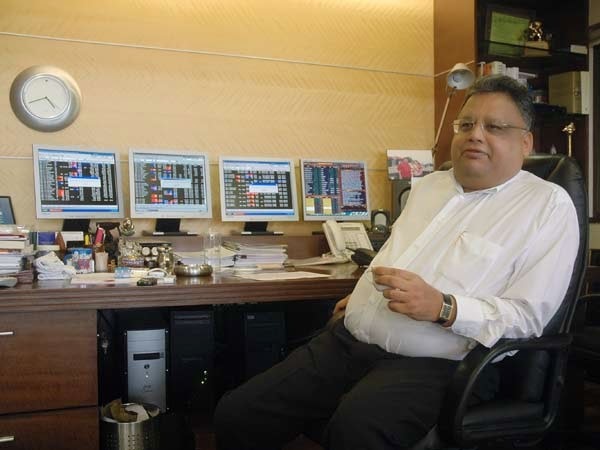 Before his partner Utpal Sheth joined in 2004, Mr Jhunjhunwala was a one-man army, operating out of tiny offices in the warren-like streets around Dalal Street, Mumbai’s historic stock market district. Since the dark days of March, India’s Sensex has rallied almost 50 per cent, its biggest quarterly gain in 17 years. It is starting to look as if Mr Jhunjhunwala’s prediction of a long bull run may have been right, albeit one interrupted by a global financial crisis he could never have predicted.